Orbit was released at the same time as the collaboration shades, and this one of their 'Mesh' shades. 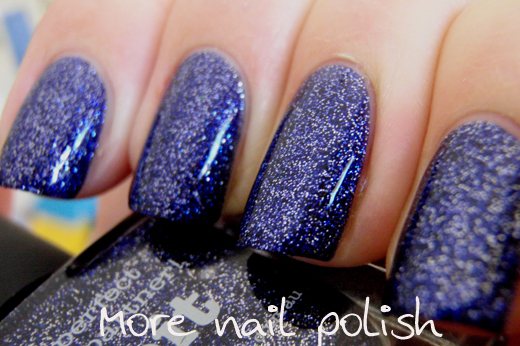 Most of the mesh shades are gorgeous fine glitter polishes in tinted bases that are easily opaque on their own. 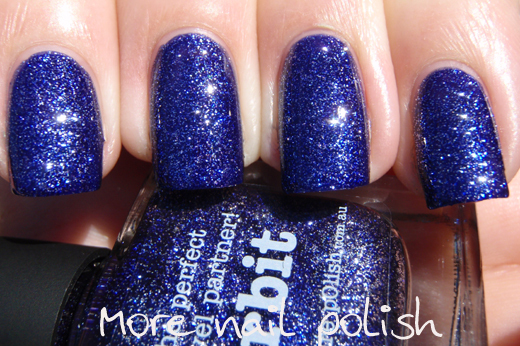 Orbit is exactly that, fine silver micro glitter in a dark navy jelly base. 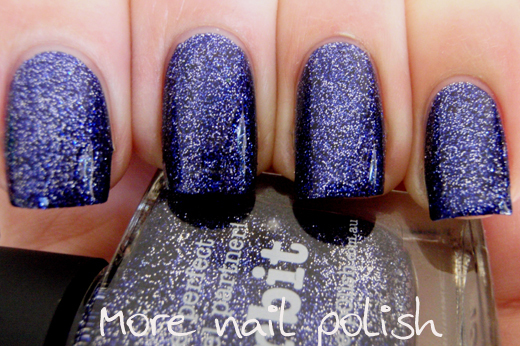 This is two coats of Orbit topped with a coat of Ulta3 non-chip and Seche Vite. Coverage was fantastic, but the polish is rather thick and gloopy, it could do with a bit of thinner to make application easier.. You also want to try and paint as neat as you can, cause if you need to clean up around your cuticles you will find you get tiny silver glitter everywhere. I reckon this is close enough to Essie's Starry Starry Nights to stick a fork in me and say I'm done looking for that polish!. 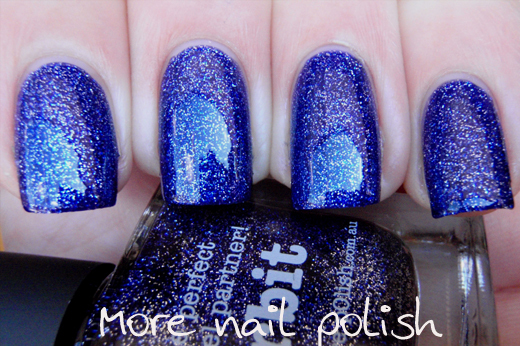 The glitter in orbit looks more dense and the blue is probably more purple toned, but I'm completely good with this one! It's stunning. looks a lot more like China Glaze Skyscraper than Essie Starry Starry Night to me, but they are similar. 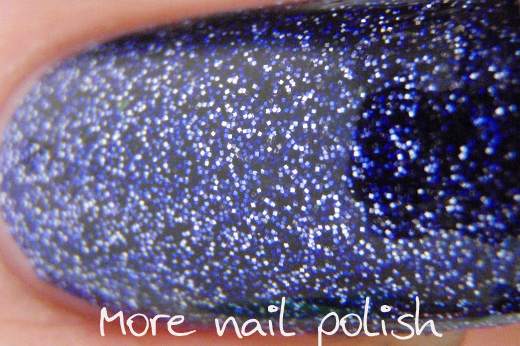 Starry Starry Night is deeper blue with much smaller and sparser glitter. 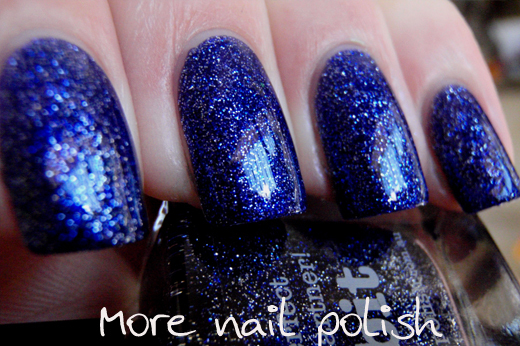 More like a jelly with glitter, as opposed to this or Skyscraper, which is a glitter in a tinted jelly base.